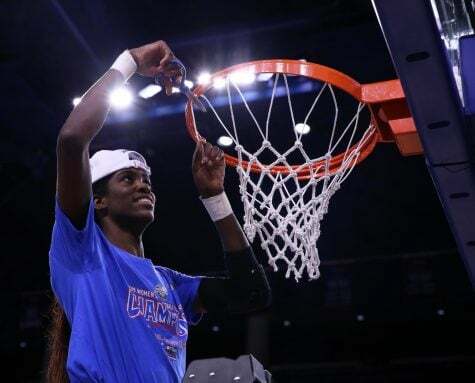 The last time DePaul women’s basketball was in Rosemont, they were cutting down the nets to celebrate a Big East Championship. With a new season upon them, the Blue Demons played their first game at the Allstate Arena Tuesday against Bradley University as part of a scheduled doubleheader. By the looks of it, this year’s Blue Demons will be pretty good too. No. 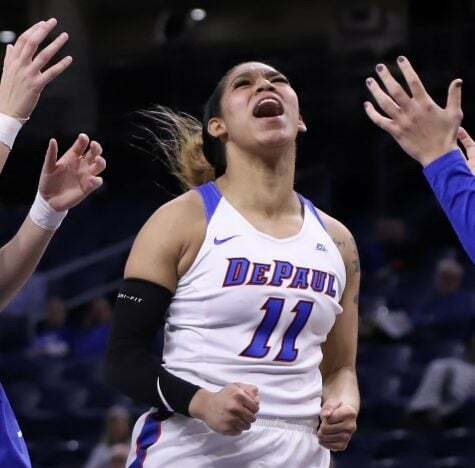 18 DePaul (3-1) overcame a slow start to roll over the Braves with a 101-77 win. 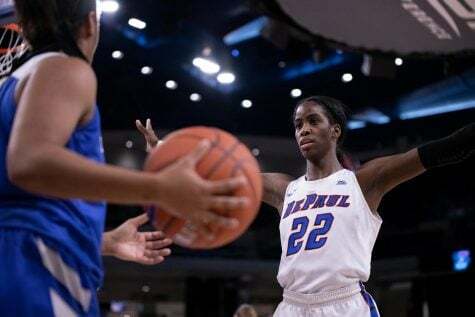 The Blue Demons went on a 21-3 run in the first half to put the game away, and the Blue Demons put up their first 100-point game of the season in the process. The continuity of the team is already starting to pay dividends early in the season. 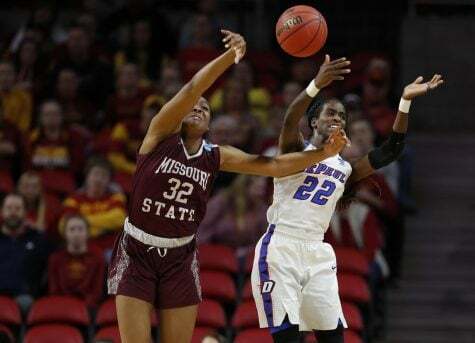 In back-to-back games, the Blue Demons tied the program’s record for forced turnovers in a game. Bradley (0-2) coughed up 39 turnovers two days after New Mexico University also had 39 turnovers. Both numbers beat the previous number for turnovers in a game for the team, which set at 37 in 2003. Even as a smaller team, DePaul’s full-court press is making stops. Along with the sheer number of turnovers, DePaul held Bradley to 42.4 percent shooting. 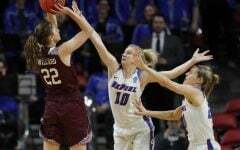 “I think because we have four guards on the court and since I’m not a true post player I think having the four post guards up and pressuring is making things harder for the other team,” Megan Podkowa said. The beginning of the game, however, wasn’t nearly as free flowing that fans have grown accustomed to seeing under Bruno. 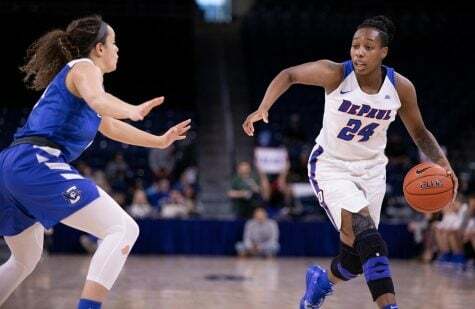 The Blue Demons, who had forced 11 turnovers in the first nine minutes, shot 5-22 to begin the game, and trailed 21-12 with 10:02 remaining in the half. The crux of the problem, Bruno said, was the lack of an offensive balance. 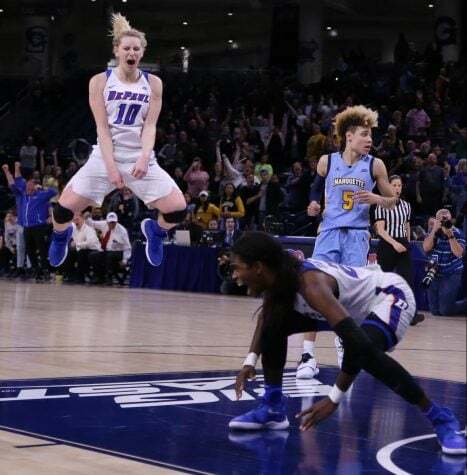 DePaul was settling for long jumpers without driving to the paint. For a team that averaged nearly 84 points per game last season, Bruno needed to see more distribution. 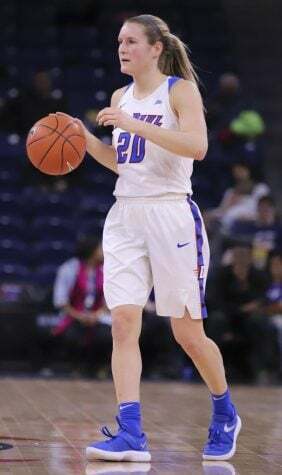 Guard Brittany Hrynko stepped up to jump-start the Blue Demons offense for the night. Hrynko gave DePaul a 22-21 lead off an assist from Podkowa. On the following possession, the senior stole the ball and turned it into an easy bucket on the other end. Hrynko finished with 19 points (9-16), eight assists and seven steals in her best game of the season. DePaul went into halftime with a 52-39 lead, outscoring Bradley 40-20 over a span of ten minutes. The Blue Demons shot 45.7 percent on the night. Five other Blue Demons finished in double figures with Podkowa having a double-double (11 points and 10 rebounds). Megan Rogowski and Chanise Jenkins each chipped in 16 points. 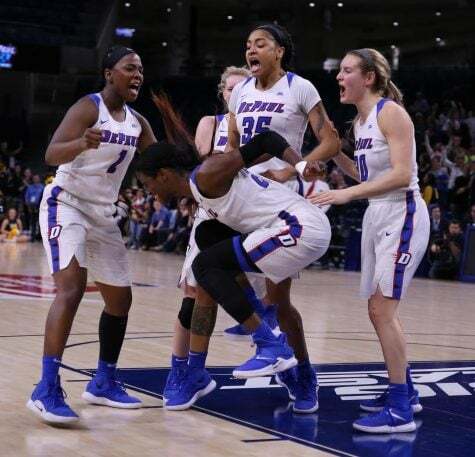 In the second half, the Blue Demons received a brief scare when Jenkins fell to the floor and grimaced in pain with a foot injury. Jenkins missed the second half and had to be carried off to the locker room by trainer Dave McAuliffe and teammate ShaKeya Graves. 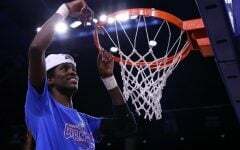 But it seems DePaul avoided a disaster. Bruno said that Jenkins received an X-Ray and said the results were negative. Jenkins also returned to the bench later in the game with her right foot wrapped in ice. Bruno said he is hopeful that Jenkins will be ready for DePaul’s next game against South Dakota State on Saturday. This will be the longest time between games for the Blue Demons, who have played four games in five days to begin the season. 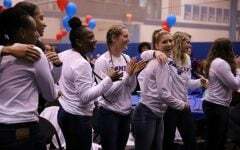 The Blue Demons next play at 7 p.m. at McGrath-Phillips against South Dakota State, who made the WNIT last season.